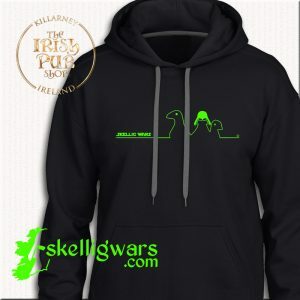 Skellig Wars hoodies celebrate both the ancient world of Irish monks and the blockbuster world of modern Hollywood. 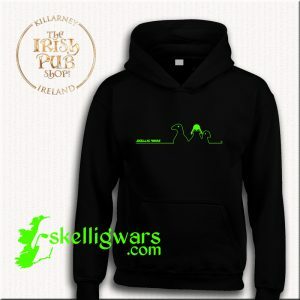 The brainchild of adopted Killarney man Declan Mulvany, Skellig Wars was inspired by the news that Star Wars film crews were about to descend on the remote and ancient Irish island of Skellig Michael in the summer of 2014. 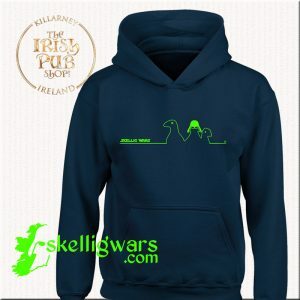 Skellig Michael is a spectacular pyramid of rock that rises from the depths of the wild Atlantic Ocean 9 miles off the Kerry coast and hardly the kind of place you expect to brush shoulders with Hollywood royalty like Mark Hamill. 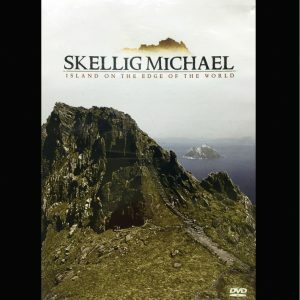 So what drew the filmmakers to this remote island to film the next instalments of the Star Wars franchise?, divine inspiration perhaps, given that Skellig Michael is home to a unique 6th century monastery, a cluster of magnificent dry stone beehive huts that have clung to the rocky heights despite centuries of ocean storms and mighty breakers. Already itself otherworldly, this UNESCO World Heritage site served as the ideal hideaway location for Luke Skywalker master of the Jedi monastery that features so spectacularly in the final scenes of the movie Star Wars VII: The Force Awakens . The island, which is also set to feature in the next Star Wars movie, Vlll, is home to a thriving community of seabirds, among them the iconic puffins, which have taken their newfound fame with ease. 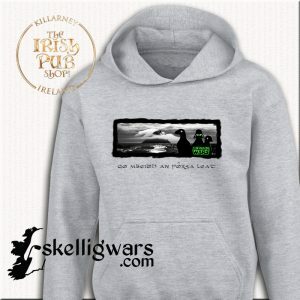 They feature prominently in the Skellig Wars collection, their movie-star good looks somewhat tempered by sinister Dark Side masks. 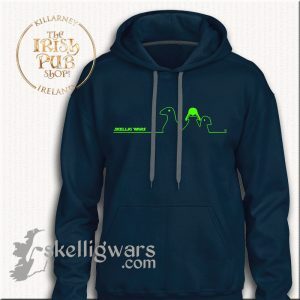 The latest addition to the Skellig Wars collection is an Irish-language version featuring the slogan ‘Go mbeidh an fórsa leat ‘ ( “May the force be with you.”) . 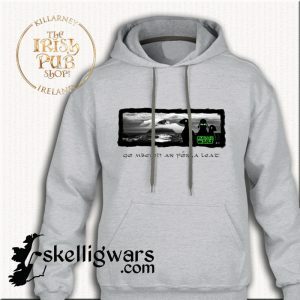 Skellig Wars Shirts are designed in Kerry and printed in Ireland on premium quality cotton.